We win at SEO. 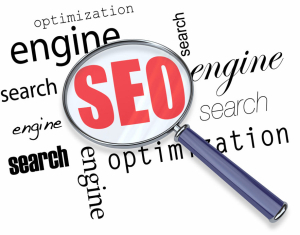 Our approach to SEO is second to none and with over 1,500 page 1 Google results, we can have your website at the top of search engines quickly. The content must be relevant. A simple phrase that means so much and really seems to be somewhat subjective, because what in fact is relevant content? Relevant content appeals to a broad audience and reaches them in a personal way. Optimized by the use of keywords or phrases, relevant content is the foundation for achieving high ranking webpages on Google. The design of a website needs to be eye-catching and offer a visual appeal to the user. The look and feel of a webpage is brought to life through the actual design of the page employing a feeling and connection with the user even before they begin to read the content. The HTML coding of your website is crucial to its success and having it ranked highly on Google and other search engines. We ensure that all the HTML tags on your website are fully compliant with Google’s strict webmaster guidelines, the first step to getting ranked by Google. Keywords are crucial within a web page because this is how we all search for goods and services online. The wrong keywords will keep your website from ever having a high page ranking but the right ones, naturally written into the content of the page, offer an almost magical leap to the top page of search engines. Backlinks used in social media, on blog pages, or as part of advertisements that direct a user back to your website to select your business to fulfill their needs are crucial when it comes to gaining popularity amongst the page rankings. 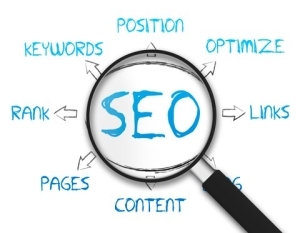 When properly placed in strategic location backlinks show search engines how often your page is being viewed allowing for a better overall ranking. All of the tools in the world won’t build a house, and even with all the tools listed above you won’t be ranked high on search engines without a great strategy. We will utilize all of our resources to help your website reach a high ranking by using our vast knowledge and expertise to achieve great results. With a plethora of marketing options out there, the most effective to make your website stand out and get noticed is a direct-related marketing technique called inbound marketing. Using inbound marketing places a link to your site from posts or articles that are related to your subject matter. This marketing strategy offers users who are already searching for similar products and services you offer to find you quickly and easily so you can fulfill their needs.